There is ample evidence and coverage of the prescription opioid epidemic in America. The pharmaceutical industry nets over $3 billion a year from sales; more than 259 million prescriptions are written every year; and 44 people die every day as a result of overdosing on their prescribed medications. But behind words and phrases like prescription opioids are drugs that treat actual conditions. One of them is Percocet, which has become a household name for the treatment of pain but can cause its own issues. Treatment and rehab options for Percocet abuse exist, but individuals should know as much as possible about the drug before they find themselves needing help to stop using it. The name Percocet refers to the combination of two drugs, oxycodone and acetaminophen. Percocet is prescribed to treat pain that ranges from mild to moderate (or even moderately severe pain), and this is where its ingredients come in. The acetaminophen reduces pain and fever; the oxycodone calms the person down and also reduces pain. Oxycodone is an opioid, which works by attaching itself to compatible receptors in the person’s brain once the drug has been consumed. In doing so, it slows down the transmission of electrical signals between the brain and the central nervous system, diminishing the amount of pain (or other discomfort) a person feels and providing a brief (but powerful) sense of euphoria and relaxation. Acetaminophen (the active ingredient in Tylenol and found in many cold medications) is less potent as a painkiller on its own, but is paired with oxycodone to increase the oxycodone’s effects. The effect that oxycodone can have on an individual is the real danger of Percocet abuse. Oxycodone being an opioid, it shares characteristics with a number of other painkilling drugs like morphine, codeine, hydrocodone, and fentanyl, among others. This means that as effective as it is in providing pain relief to a person, it can also be very habit-forming. 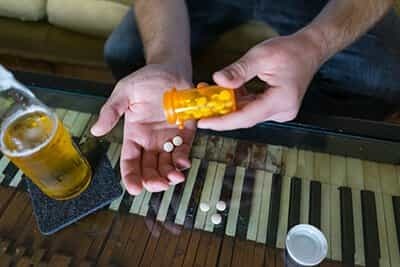 People can grow so accustomed to the painkilling properties of Percocet that they start to take the medication in excess of the prescribed amount. They may also find themselves enjoying the feeling of blissful relaxation that comes when the oxycodone binds to the opioid receptors in the brain, washing out all unpleasant sensations and leaving only an overwhelming feeling of ecstasy. To counter this, Percocet is given to individuals in tablet form, because that helps the body process the oxycodone and acetaminophen in a measured, balanced way. The digestive system breaks down the drugs safely and with minimal risk of being flooded with the opioids in the oxycodone. However, taking too many Percocet tablets will negate the safety mechanism of the tablet release. Some people may crush the tablets and mix the powder with water, perhaps going so far as to snort the powdered Percocet like cocaine. This latter method bypasses the digestive system (that would otherwise break down a Percocet pill) and quickly releases oxycodone into the bloodstream, where it rushes to the brain and activates the opioid receptors in full force. This also gives individuals a much faster high than they would experience if they swallowed Percocet as a tablet. This leads to the possibility of Percocet being abused for its medicinal properties by people who are desperate to find relief for their pain, by people who have a medical condition and take Percocet because they believe that prescription medication cannot be harmful, or by people who simply want to feel the narcotic rush. In 2006, for example, the rise of teenagers using Percocet and other prescription drugs for off-label purposes was covered by USA Today, which quoted the Partnership for a Drug-Free America as saying that 19 percent of American teenagers (4.5 million people under the age of 20) used prescription painkillers purely recreationally. One reason for this is that prescription drugs are easier to obtain (with or without permission) from relatives and friends than illicit narcotics, such as heroin. The University of Michigan’s Monitoring the Future study reports that some parents may even give their children prescription medication under the belief that since such drugs are legal, the risks involved are minimal. These effects happen because the individual’s brain changes as a result of the constant flow of the opioids in oxycodone (helped along by the acetaminophen). The parts of the brain responsible for producing the chemicals that create sensations of gratification and reward are hijacked by the Percocet. The more Percocet is taken, the more the person becomes dependent on it to alleviate pain and stress, until Percocet is taken to simply make it through the day. As more Percocet is used, the body adapts to the sustained presence of the drug in the system, so the person has to consume increasing amounts of the drug just to feel an effect. All these characteristics – the withdrawal symptoms, the dependence on Percocet, the increasing tolerance for more Percocet – are examples of how the brain’s chemistry and functioning change as a result of Percocet being used beyond its safety protocols. Once the person gets over the physical symptoms of withdrawal (fever, muscle pain, diarrhea, etc. ), the psychological symptoms (anxiety, depression, mood swings, etc.) will start to set in. This usually occurs around the fourth day of withdrawal. By the end of the first week since the last consumption of Percocet (or the beginning of the second), there might still be some lingering discomfort, but the worst of the withdrawal process is behind. However, since the detox process is exacting on a number of levels and has the potential for being very uncomfortable, it should not be attempted at home, or in the presence of someone who is not trained or equipped to deal with medical contingencies. 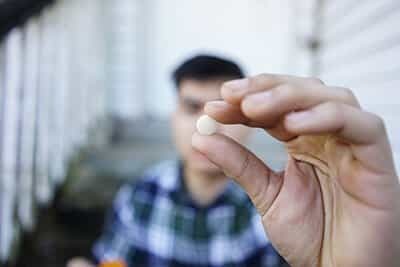 Individuals who are withdrawing from Percocet are physically weak and often desperate for anything that will reduce the pain of the process, so they are exceptionally vulnerable to relapse during this time. Furthermore, as they go through the psychological stage of withdrawal symptoms, it is not unheard of for some people to experience thoughts of committing suicide. The National Institute on Drug Abuse warns that those who misuse prescription opioids (like Percocet) are “more likely to consider suicide” than those who do not abuse their drugs, or who do not use drugs at all. Even after these individuals stop their intake, there is a risk that the suicidal thoughts remain. If individuals goes through withdrawal on their own, or with someone who does not know how to properly help them, the presence of these suicidal thoughts when they are mentally and physically sensitive can be a serious cause for concern. That is why there is an overwhelming consensus that rehabilitation for a Percocet addiction should begin at a professional treatment facility. Such establishments employ trained medical professionals who will evaluate a person’s medical history and risk factors before beginning treatment. This is important because it helps doctors anticipate how the person will respond to the worst of the withdrawal symptoms and then provide for those eventualities. When withdrawal is supervised and conducted under the auspices of a rehabilitation center, it is known as medical detox. This may entail prescribing anticonvulsant medications for muscle cramping or anti-anxiety medications for fretfulness and other psychological symptoms. It could be as nuanced as giving individuals the right kind of food to help them stay nourished, but food that is easily digested due to intestinal issues associated with withdrawal. These kinds of contingencies will likely not be observed by a person who detoxes alone, or in the company of someone who does not know how to prepare for what withdrawal from Percocet will entail. Detox is only part of the rehabilitation process from a Percocet dependence. Once the person has completed detox, psychological treatment begins. This will involve therapy sessions with a counselor who can help the person mentally and emotionally recover from the damage caused by the addiction. As part of this work, the client will learn how to cope with the temptation to use more Percocet, and how to build up strategies and tools to safeguard against the stress and risk factors that were responsible for the substance abuse problem. As the scope of therapy expands, the client’s family members might become part of treatment. This will ensure that when the client returns home, that environment is as supportive and positive as possible. Even after completing rehab, the person will be very susceptible to relapse in the following year, so a loving and encouraging home life is crucially important to ensuring sustained sobriety.